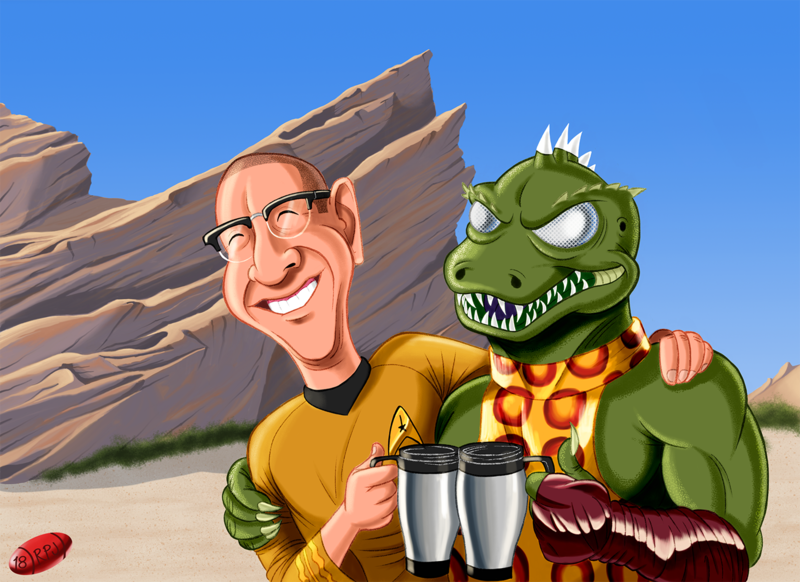 Latest commission: Patron wanted to give her hubby, who is a big Star Trek fan, a Father’s day gift. She also told me her husband likes reptiles and loooves coffee. Wished every commission was as easy to come up with as this one! 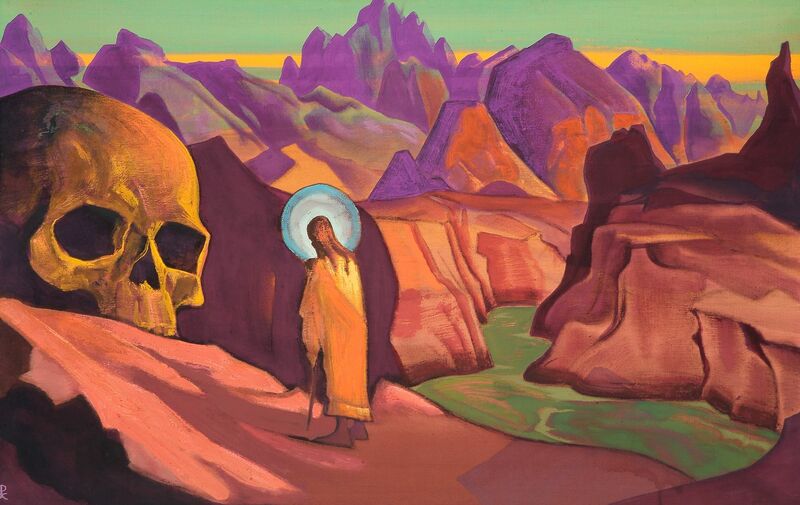 An example of Roerich’s wondrous artwork. This painting I believe is depicting the mystical hypothesis that Jesus visited Tibet during his “secret” years. And is that supposed to be a Nephilim’s skull?? Once the ‘hard’ work was over, the rest was easier and much more fun to accomplish, yet I still experimented with a few things here and there (for example, instead of ‘colorizing’ the line art like I usually do by locking the layer’s transparency and painstakingly changing the color of the line manually, I instead changed the layer to “soft light”, which proved to be too intense, so I duplicate the line art layer and applied it with the ‘color sub exposition’ filter at a 16% opacity, which darkened the color of the lines and looked better to me. I also tried to find ways to caapture Gorn’s ‘bumpy’ skin and his weird insect-like eyes. Again, the goal was not hyper-realism, so I was very pleased with the end result. The original Gorn. Notice his ‘unrealistic’ mouth, which kind of looks like a duck bill! Also, the poor guy has no tongue. Remember: You too can have your deepest, fondest and GEEKIEST fantasy fulfilled –in 2d form, anyway 😛 Leave me a comment here if you’re interested in an artwork commission.